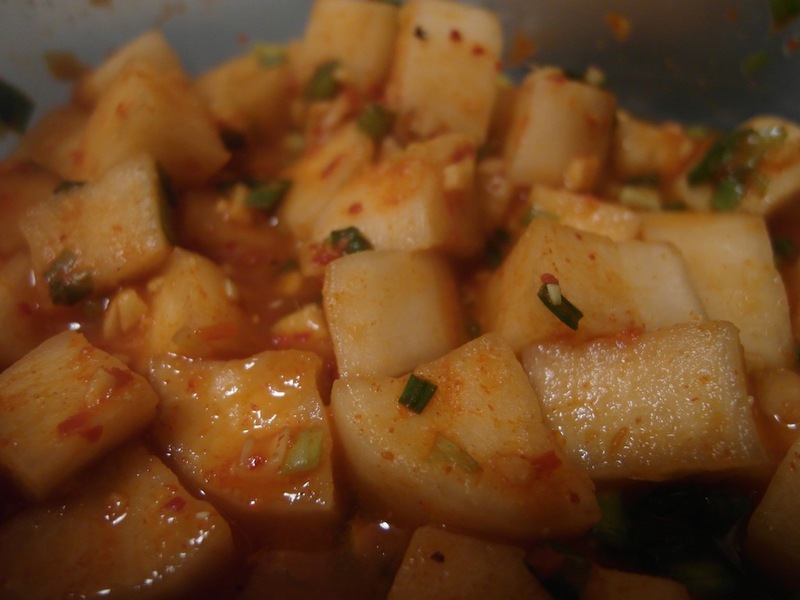 Kkaktugi 깍두기 is a side dish made of white radishes diced into small squares, seasoned, and fermented. The name of it is an imitation of the sound of radishes being cut, “kkaktuk kkaktuk”. 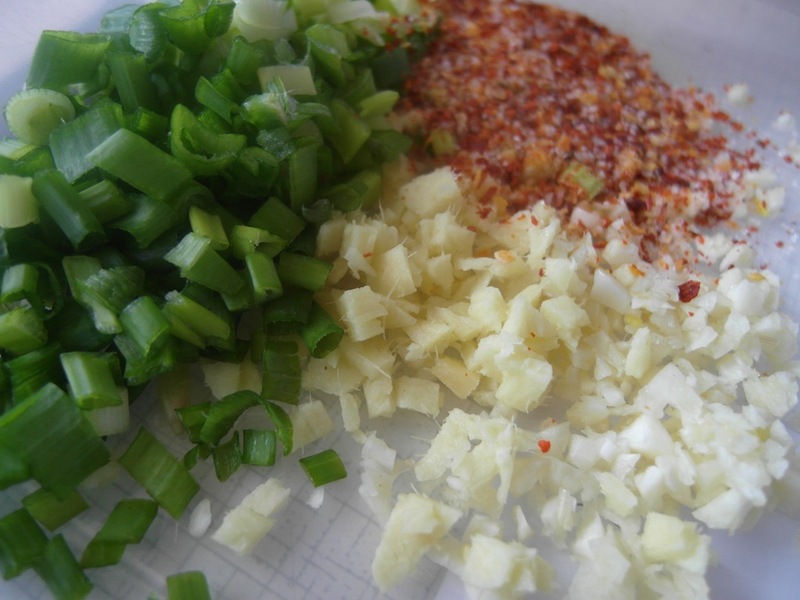 While most types of kimchi can be difficult to prepare, Kkaktugi is relatively simple to make. 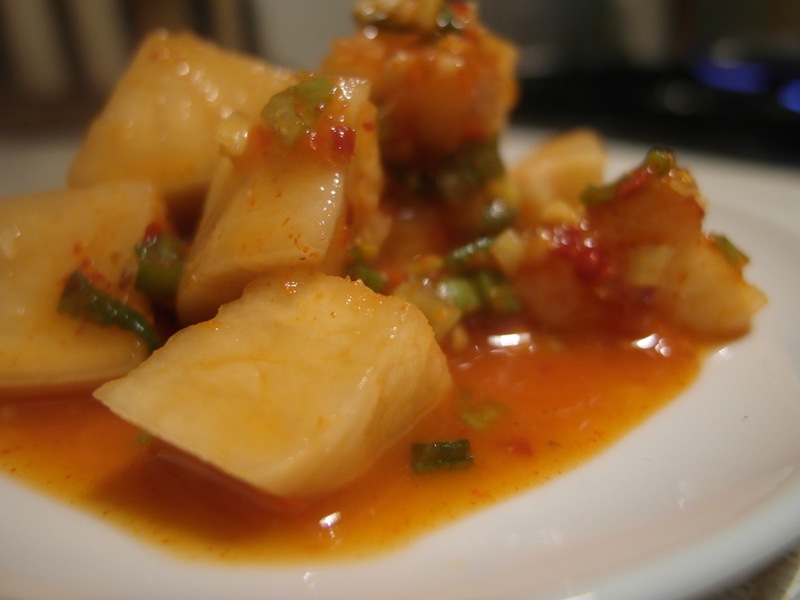 When prepared at the royal palace, this type of kimchi was known as mu songsongi. 2 tablespoons of sea salt. 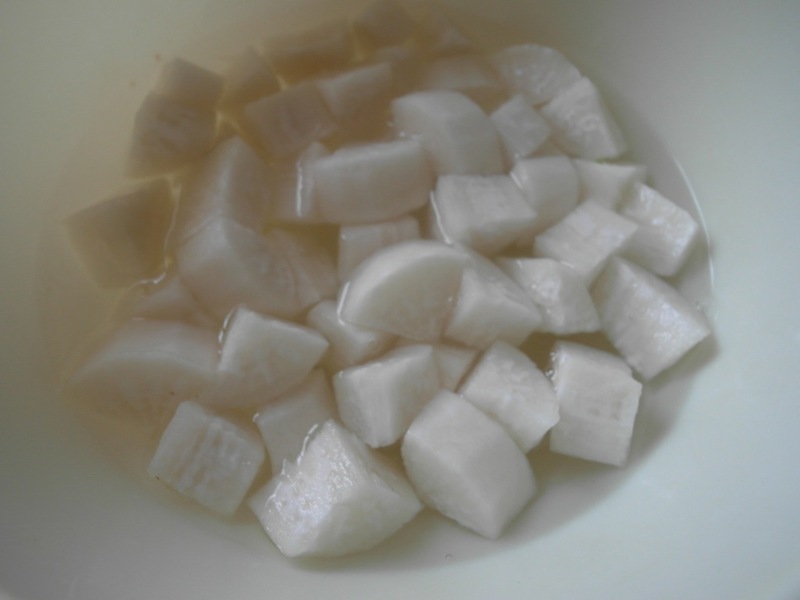 Put the radish into a bowl and sprinkle it with the sugar and some salt. Cover it with warm water. Let it sit for 3-4 hours. 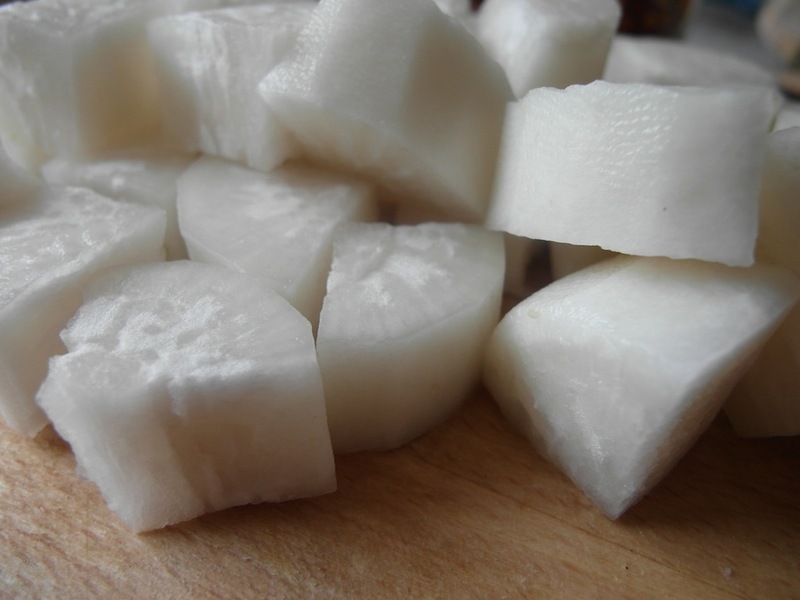 Rinse the salted radish in cold water 3 times. 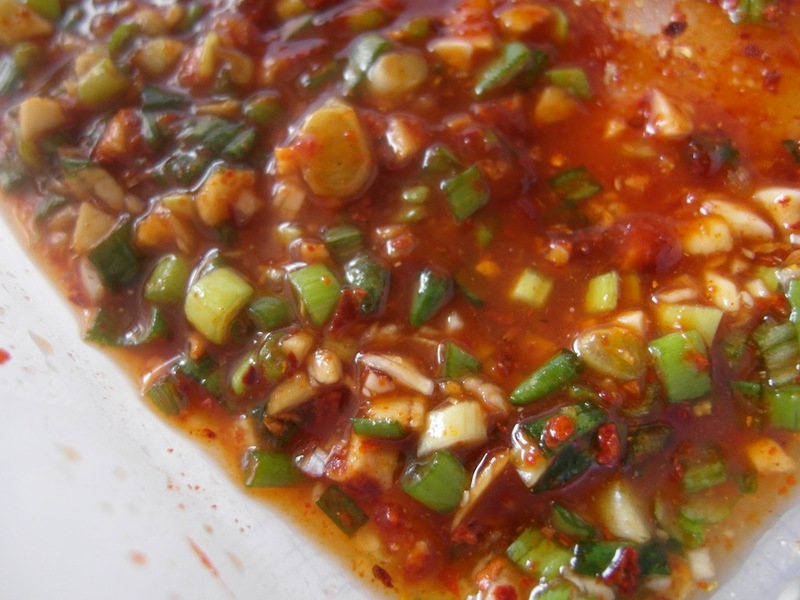 Mix the remaining ingredients and put the marinade into one jar with the radish. You can eat it fresh right after making, or wait until it’s fermented. Usually Kkaktugi is ready to eat after one day at room temperature.